Format: Paperback, 640pp.ISBN: 0618012710 Publisher: Houghton Mifflin Company Pub. Date: April 2001 In The Best American Mystery Stories of the Century, best-selling author Tony Hillerman and mystery expert Otto Penzler present an unparalleled treasury of American suspense fiction that every fan will cherish. 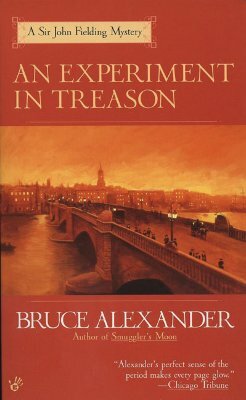 Offering the finest examples from all reaches of the genre, this collection charts the mystery’s eminent history from the turn-of-the-century puzzles of Futrelle, to the seminal pulp fiction of Hammell and Chandler, to the mystery story’s rise to legitimacy in the popular mind, a trend that has benefited masterly writers like Westlake, Hunter, and Grafton. Nowhere else can readers find a more thorough, more engaging, more essential distillation of American crime fiction. Penzler, the Best American Mystery Stories series editor, and Hillerman winnowed this select group out of a thousand stories, drawing on sources as diverse as Ellery Queen’s Mystery Magazine and Esquire, Collier’s and The New Yorker. Giants of the genre abound-Raymond Chandler, Stephen King, Dashiell Hammell, Lawrence Block, Ellery Queen, Sara Paretsky, and others-but the editors also unearthed gems by luminaries rarely found in suspense anthologies: William Faulkner. John Steinbeck. Damon Runyon, Harlan Ellison, James Thurber, and Joyce Carol Oates. Mystery buffs and newcomers alike will delight in the thrilling stories and top-notch writing of a hundred years’ worth of the finest suspense, crime, and mystery writing.